So Many Clothes...So Little Space! Arriving at college freshman year can often be a bit of a shell-shock. For students used to their comfortable and spacious room at home, the empty square dorm room be tough to get used to. Not only is it a new and strange environment, but students are forced to bring their entire life with them and find room for it all—the hardest part being their wardrobe! But with the right accessories and storage items, it can be a piece of cake to store all of your favorite clothes without having to worry about a lack of space in your dorm. 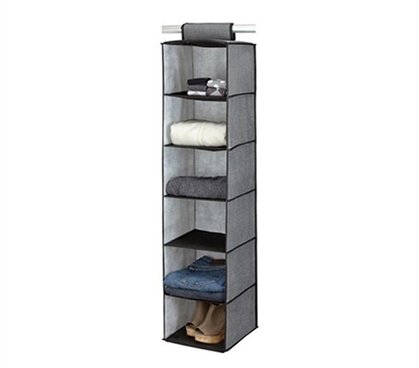 6 Sweater Shelf Organizer- Items like this are perfect for storage. They hang right in your closet, and you can hang sweaters, shirts, shoes, whatever you need. Shelf organizers maximize your precious closet space by adding 6 extra shelves of storage while taking up minimal closet space. Plus, since there are 6 shelves to use, you can organize your clothes easier by grouping similar items together on one shelf. For example, you can have all your short sleeve shirts on one shelf and all your pants on another shelf. By grouping similar items together, you can save time getting ready in the morning by not having to hunt for your favorite t-shirt! Complete Closet Organizational Kit - Dorm room closets are often much smaller than they should be. For additional dorm-closet or hanging space, there is always a portable closet. Very affordable, easy to move and the perfect storage item! Great for people who prefer hanging clothes over folding in drawers. 6 Tier Shirt Hangers - Out of any closet or clothing storage accessory, this is perhaps the most beneficial and a must-have dorm item. 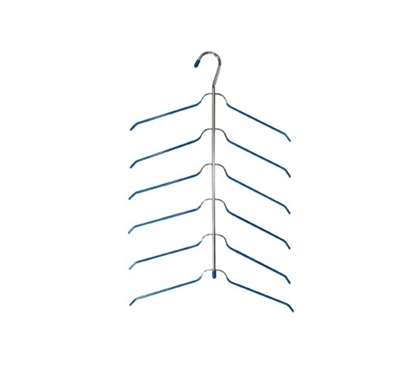 Since you may not have much hanging space in your dorm closet, these hangers allow you to hang more clothes, as well as quadruple your closet space! Soft Grip 4-Tier Pant Hanger - Even though you’re living in a dorm room, that doesn’t give you an excuse to settle for wrinkled or untidy pants. Throwing them in your drawers or folded up somewhere can allow them to get very wrinkled, as well as make it more difficult for you because you will be losing dresser space. Something like this product will allow you to put them in your closet, without taking up any space. You can store up to 4 pairs of pants and keep them neat and pressed—as well as save space in your dorm room. We know it’s tough trying to find places for all of your items, clothes, shoes, and accessories in your college dorm room. But make it easier on yourself by ensuring that you’ll have enough storage space for all of your essentials. Dorm Co has tons of products, including the ones above, that will give you tons of storage options while still allowing you to save space—which, after all, is the key thing to remember as you move into your college dorm room!